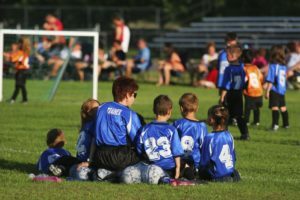 The Petoskey Autumn Blast Soccer Tournament is a wonderful occasion for family bonding. There are lots of reasons why a Condo is just what you and your family need during this very exciting and action packed weekend. We love soccer families – you are always welcome to stay with us. The pools and other onsite amenities will keep you and your family busy between games. The condos each have their own washer and dryer so the soccer uniforms stay clean and fresh! There is plenty of space outdoors for the kids to have fun…. they will not have to play soccer in the hallways of a hotel – they can play outside on our grassy lawn area with the soccer goals instead of in a parking lot. With all of the down time between games, Trout Creek is the place you want to stay. Picnic/Barbecue Area so that you can grill out and have fun with the kids. After you stay in a condo, you will never want to stay in a hotel again. Condominiums are just so convenient, comfortable and affordable. We look forward to seeing you in June! $200 deposit with a Visa, MC or Discover is due at the time of booking your reservation. This amount will apply to your balance, which is due 30 days prior to your arrival. Should you find it necessary to cancel your reservation and it is prior to 30 days of your arrival date, $175 of the original $200 deposit will be refunded to your credit card. If the cancellation occurs within 30 days of your arrival, the entire balance will be forfeited unless the condo is re-booked. At that time all but $50 will be refunded back to the credit card on file.